On January 26, 2019, comfortable at home at age 93, Jeanne Jakes Cowen passed from this life into life eternal. She was the heart of the Cowen family. She was a woman who was always dependable and who never complained in any situation. Filled with compassion, she was loved and trusted by all, because no matter who you might be, she only saw the good in you. With her quick wit and keen sense of humor, she filled every room with joy and laughter. Jeanne was born in Nashville, Tennessee on August 26, 1925. At the age of 16, she attended Ward-Belmont College in Nashville. After two years, she transferred to the University of Tennessee where she was a member and an officer of Delta Delta Delta sorority. Following graduation, she worked as an airline stewardess for Chicago Southern Airlines, which later became a part of Delta Airlines. She moved back to Nashville and became a home economist with Nashville Electric Service. It was there she met her beloved future husband Bob, who was recently discharged from the US Navy. He was soon recalled to the Navy due to the Korean Conflict, and they married and reported to Boston, Massachusetts and then Newport, Rhode Island. After almost two years in the Navy, they returned to civilian life in Tennessee. In 1956, Bob joined UniMac and moved his young family to Ft. Lauderdale to operate the plant. In 1961, they moved to Atlanta and Bob became owner of UniMac. Looking for a place to relocate the manufacturing plant, they learned of suitable space at the Industrial Park in Marianna, Florida. In 1965, the Cowen family moved to what would be their home for the next 50 years. Jeanne immersed herself in her community. 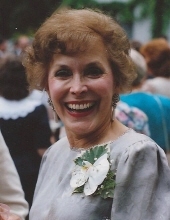 She was an ever-supportive mother to her three children and was a faithful member of the First Presbyterian Church. She was president of the Women of the Church from 1973 to 1975, elected as the first female Deacon at First Presbyterian, and in 2012 received an Honorary Life Membership in Presbyterian Women for her exemplary leadership and dedication to her church. In 1982, Jeanne was diagnosed with breast cancer. However, throughout her own treatment, she never took time to worry about herself. Instead, Jeanne spent her time visiting other women with cancer to help them through their own difficult times. Her family was always the center of her life, and she spent many hours on the road as she supported her children and grandchildren. They will forever cherish memories of her immeasurable love and of her constant desire to give everything of herself to them. Vanderbilt football games, the mountains of Western North Carolina, and her house at Mexico Beach were among her favorite places to enjoy time with her family. Jeanne was preceded in death by her parents, Lora (Hosmer) and Robert Jakes, and sister Mary Ellen Jakes McCabe. Jeanne is survived by her faithful husband of 68 years, Robert Clifford Cowen, Sr. Their children are son Garrison Cowen (Julie) of Jasper, Alabama, daughter Kimberly (Ed Ivy), of Danville, California and son Robert Cowen, Jr, (Cam) of Birmingham, Alabama. The grandchildren are Amy (Mike Chitwood), Garrison Cowen,Jr., Sallie Cowen, Jeb Cowen, Catherine (John Michael Fine) and Elizabeth (Tyler Palmquist), Robert Cowen III, Jack Ivy and Cade Ivy. Jeanne is also survived and cherished by her sister’s nine children. Interment will be in Woodlawn Cemetery in Nashville, Tennessee on Thursday, January 31, 2019 at 2 pm. Honorary Pallbearers will be Garrison Cowen, Jr., Jeb Cowen, Robert Cowen III, Jack Ivy, Cade Ivy, Mike Chitwood, John Michael Fine, and Tyler Palmquist. A memorial service will be at 2:30 pm, Sunday, February 17, 2019 at First Presbyterian Church in Marianna, Florida. Family will receive friends at 1:30 pm, one hour prior to the service at the church. In lieu of flowers, memorials may be made to First Presbyterian Church, 4437 Clinton Street, Marianna, Florida, 32446 or a charity of your choice. The family would like to extend a special thank you to the caregivers who tirelessly and lovingly gave excellent care to Jeanne and became like family. James & Sikes Funeral Home Maddox Chapel of Marianna, Florida is in charge of arrangements. To plant a tree in memory of Jeanne Jakes Cowen, please visit our Tribute Store. "Email Address" would like to share the life celebration of Jeanne Jakes Cowen. Click on the "link" to go to share a favorite memory or leave a condolence message for the family.